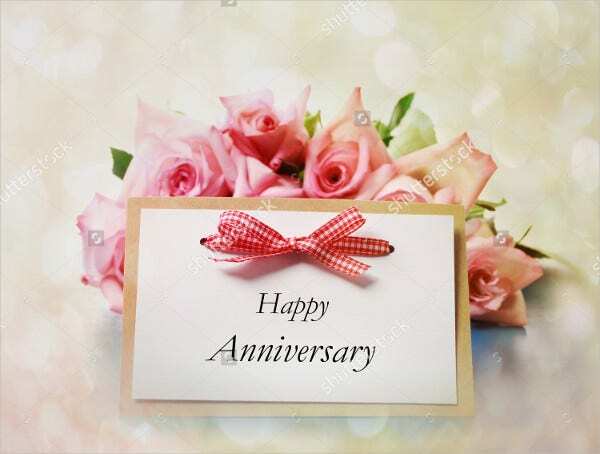 Anniversaries deserve to be celebrated and congratulated as they signify years of togetherness despite all the challenges and storms being thrown at by life. No wonder that couples always love to invite their near and dear ones on their special day every year in memoriam of the vows of lifetime togetherness they took before the altar. 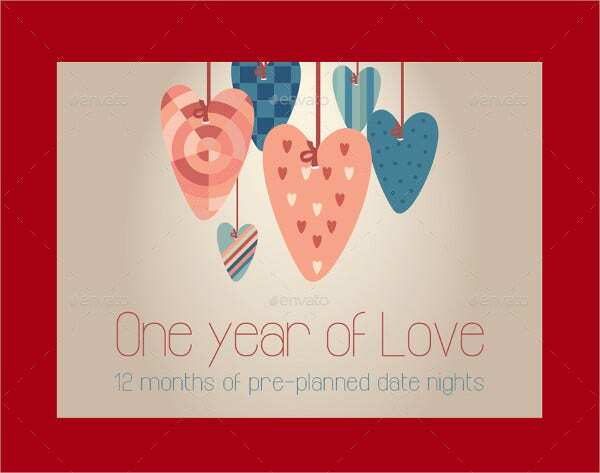 The happy anniversary Card Templates are one of the popular cards and you can offer them to your spouse on your precious day or to some dear couple friend. 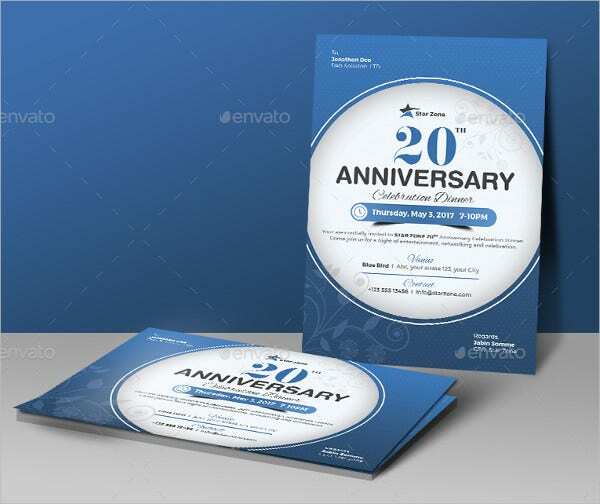 You have a sophisticated Anniversary Card Template here where you can highlight the year of the anniversary at the center. 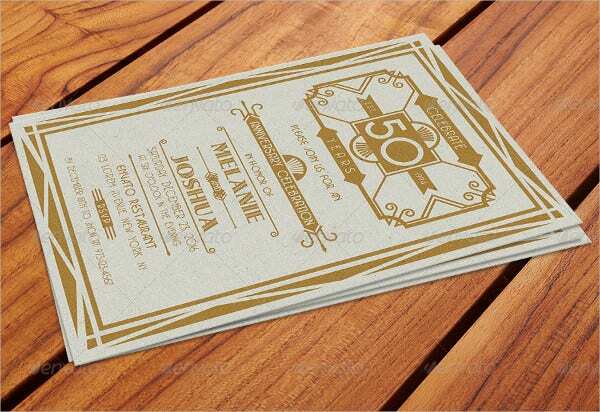 It offers legible space for all the basic details of the party. 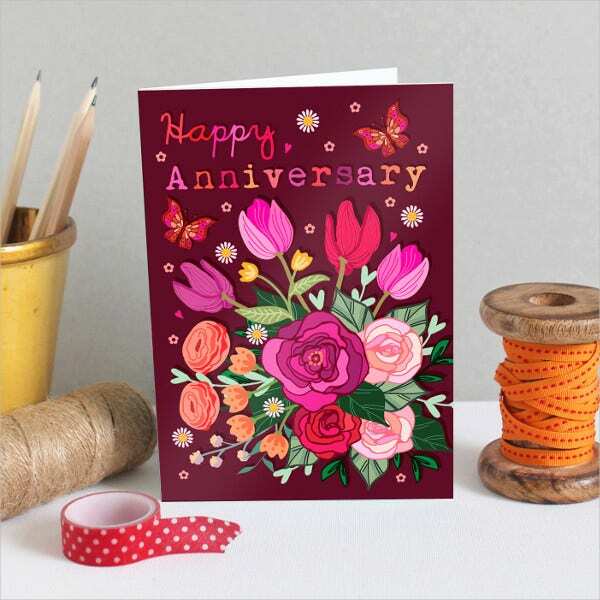 With vibrant flowers and butterflies, this anniversary card sample is just the thing you need when you are looking for simple yet bright happy anniversary cards for your favorite couple. 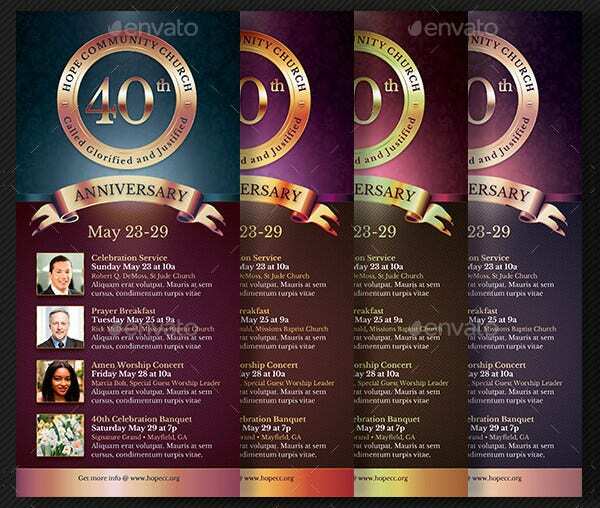 If you are looking for Anniversary Invitation Templates for church anniversaries that will offer you enough room to brief about the services to be held along with the images of the key persons, look no further than this template. 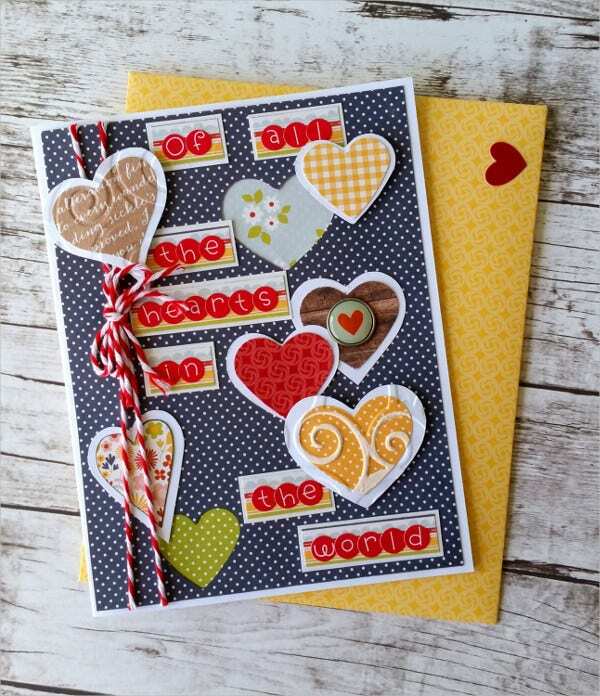 The lovely hearts rightly speak of the romantic message that you wish to convey on an anniversary gift card and your favorite couple will duly enjoy these wonderful warm anniversary gift coupon cards. 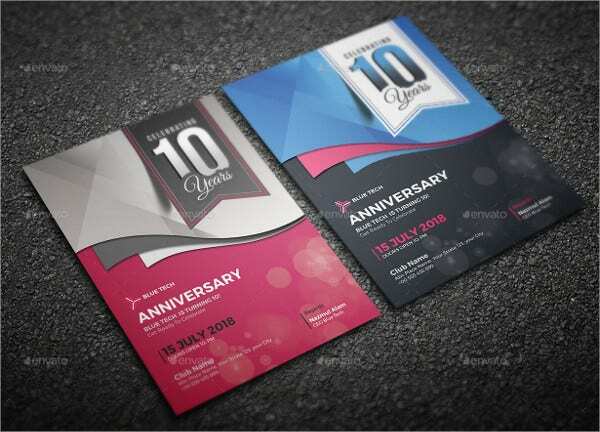 If you are looking for simple yet elegant Greeting Card Templates to wish a happy anniversary to your couple friend, this template will seal the deal for you with its pristine customizable background and the lovely bow. 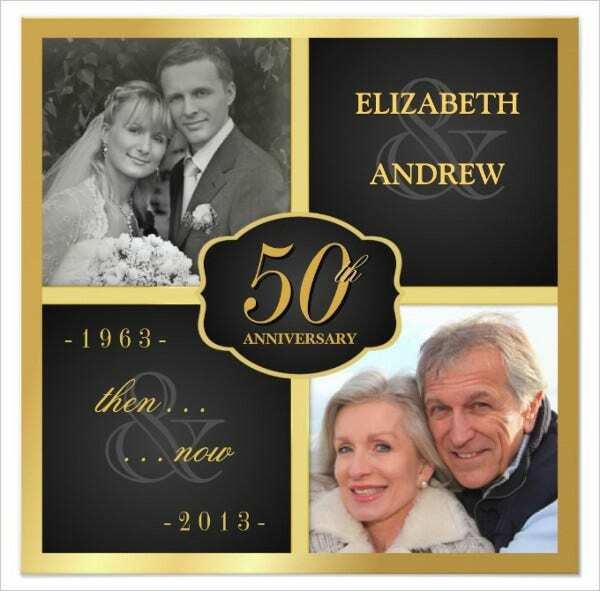 This anniversary card template has done a brilliant job by offering the still-in-love couple the space to upload their romantic shots from their wedding day and from the present day- to prove that nothing has changed between them even after 50 years of togetherness. The golden ribbon on top and bottom aptly creates the desired celebration mood for a happy anniversary party. 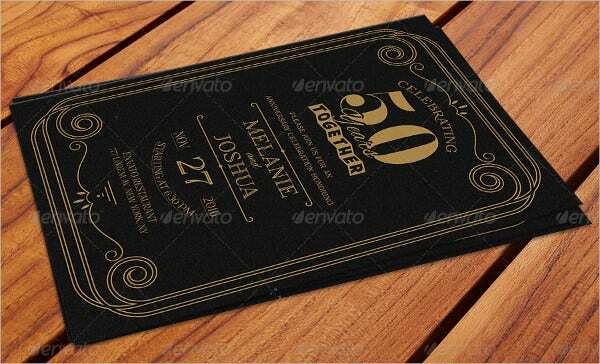 You can use it for your anniversary invitation card or for gifting it to some couple friends with your special message on their anniversary. 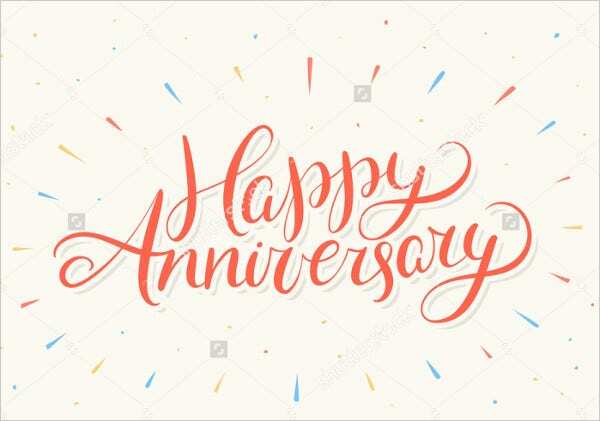 If you are looking for a vintage appeal for your Anniversary Card Template, this card here would do the thing for you with its art-deco look. 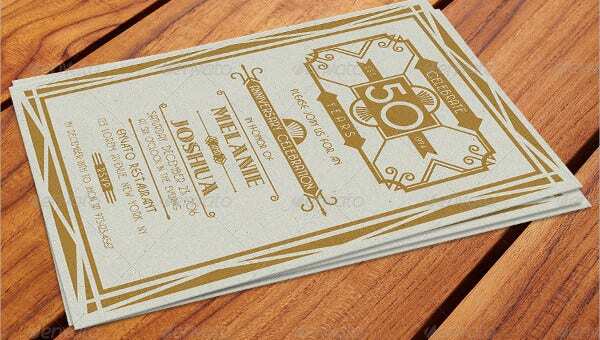 It’s classy, elegant and offers enough space to mention important details of your party. 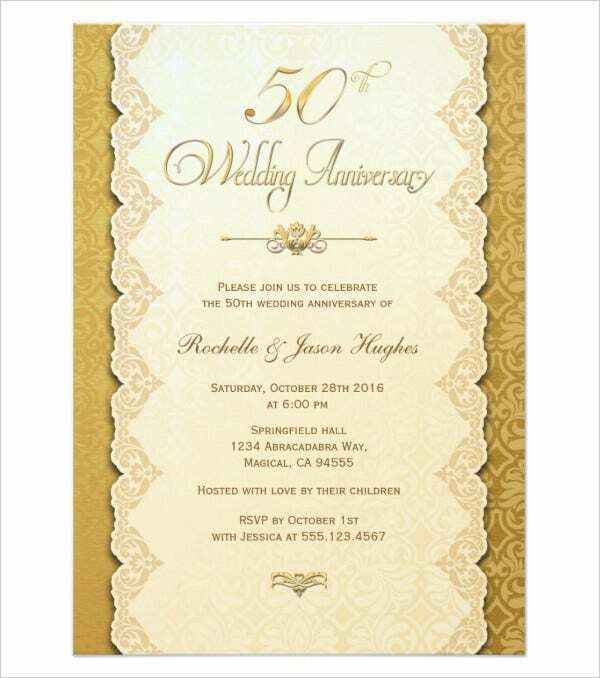 If you are looking for a regal Victorian feel for your wedding anniversary invitation card, this card would seal the deal for you with its vintage fonts, cream backdrop, and embellished borders. 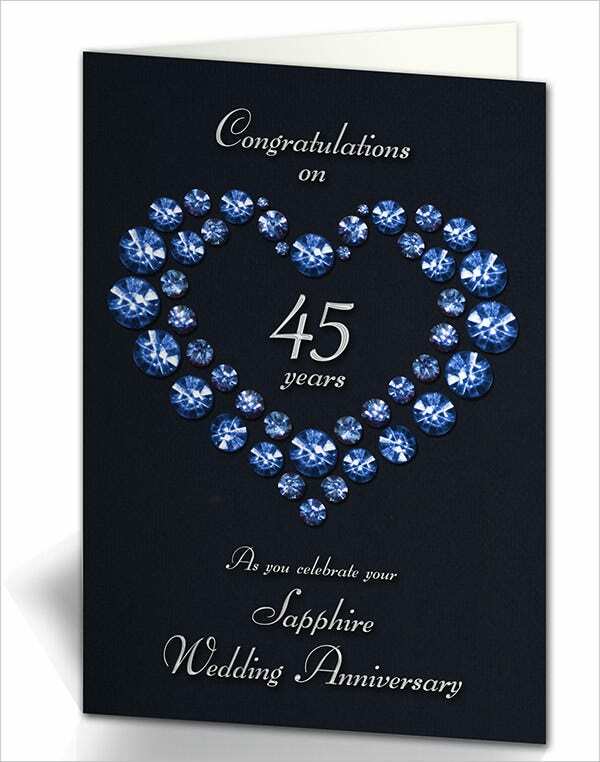 This lovely blue sapphire wedding anniversary card would be perfect when you are looking to send your heartfelt best wishes to your couple friends on their 45th wedding anniversary. They are sure to love the glorious sapphire heart. 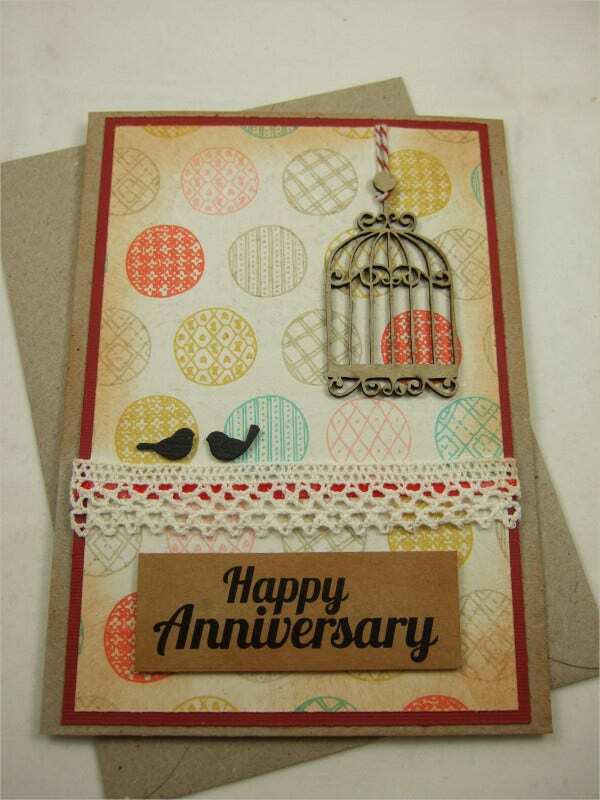 This anniversary card creates a charming aura with its countryside feel and it has rightly portrayed a romantic tone with the two free cooing lovebirds. The stage, fortunately, stays vacant on the other side. 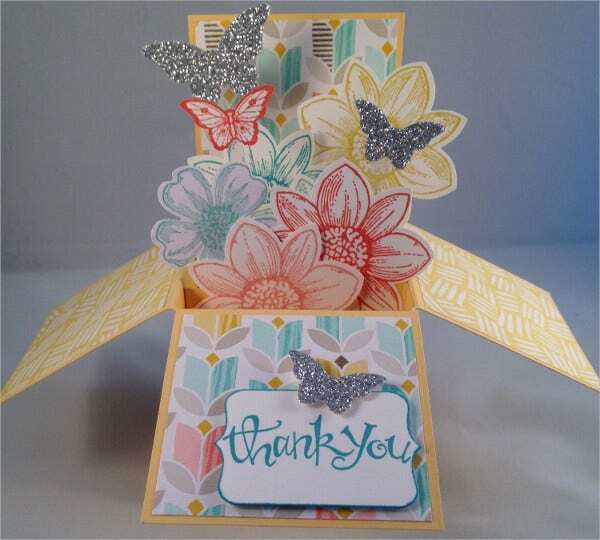 If you are looking for happy anniversary cards with a twist, this unique anniversary card with popped up butterflies and flowers is sure to impress your soulmate as s/he wakes up in the morning of your special day. 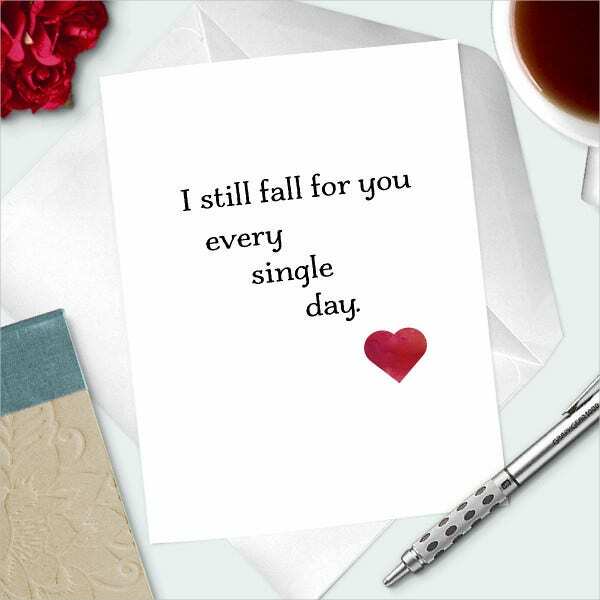 This classy anniversary card shows how a few words can be enough to convey the best romantic message to your soulmate on your special day. The tiny bright crimson heart completes the picture. 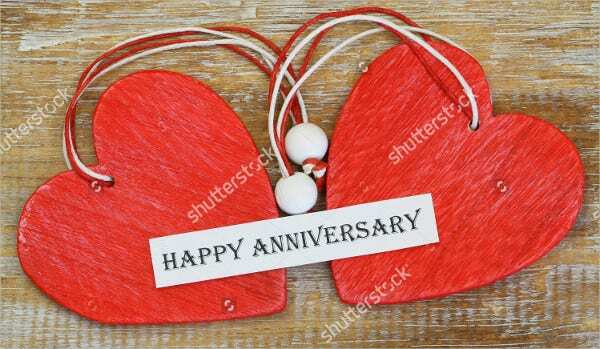 If you are looking for something handcrafted to wish a warm happy anniversary to your couple friend, this card template here would be nice with its simple yet beautiful paper flower wreath and the sparkling anniversary tag clipped to it. 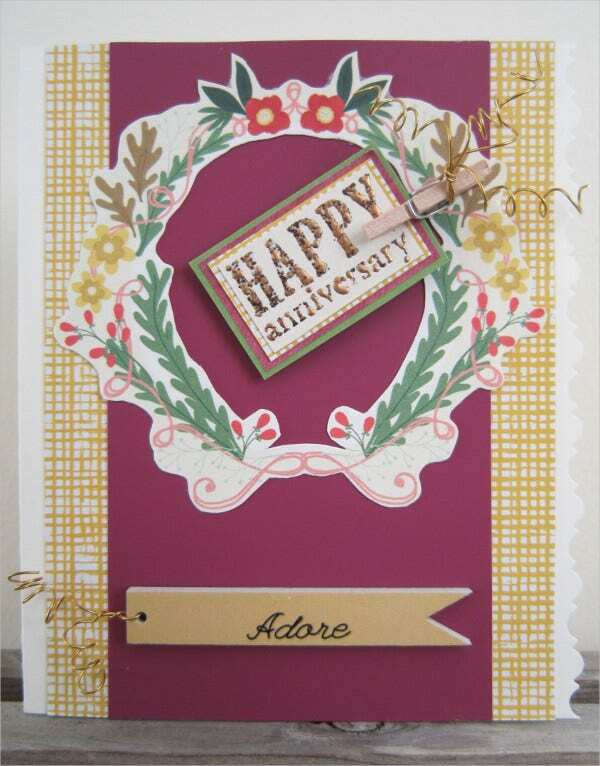 If you are looking for ideas on happy anniversary cards, the templates mentioned above would be great for you. 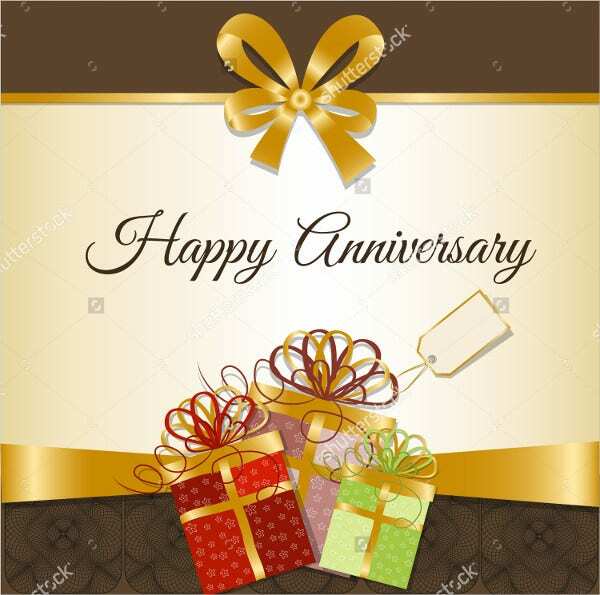 They not only offer amazing anniversary greetings but you will also find a huge bunch of Anniversary Invitation Cards here. 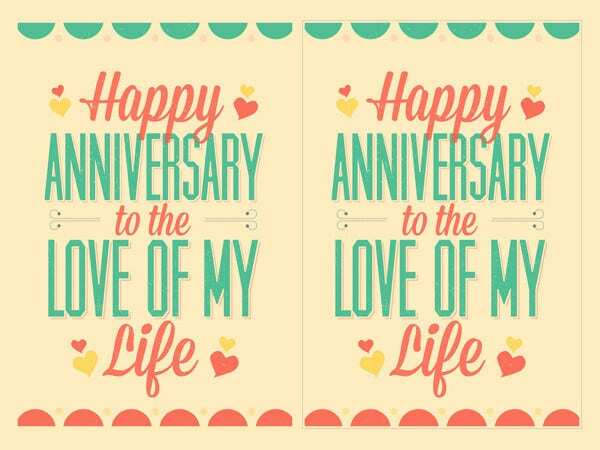 From wedding to church anniversaries, you have a versatile range of anniversary cards here.